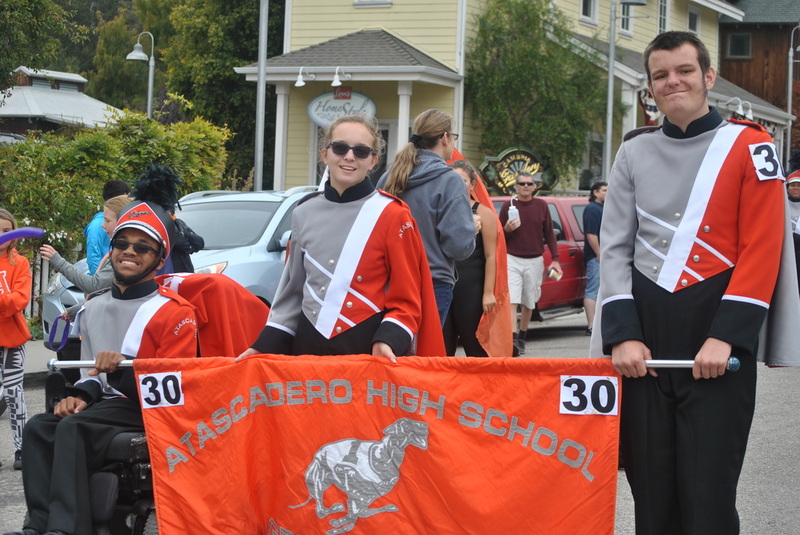 ​Atascadero High School has a long-standing tradition of excellence in all areas of music. There are several ways in which students can participate, honing their musical skills towards excellence. Each musical group or ensemble offers a unique opportunity for students to explore their talents, perform for classmates as well as the community and participate in competitions throughout the state. The Atascadero High School Marching Band has been an integral part of pride and school spirit for over 85 years. The Marching Band performs at all home football games, providing music during the game as well as a halftime show to entertain Greyhound football fans. Director Conrad focuses on teaching the musicians how to march together with precision and accuracy. Throughout the decades, AHS Marching Band has consistently received ratings of Superior and Excellent, bringing home numerous trophies and plaques for their performances in parades and field shows in and around the county. Members of the Marching Band meet during class and twice weekly for after school rehearsals. The Wind Ensemble comes together after marching season is concluded. Performing a wide variety of music, the Wind Ensemble focuses on.... Continuing the tradition of excellence in musical performance, the AHS Wind Ensemble performs at the county Music Festival as well as Winter and Spring Concerts. In addition, the Wind Ensemble has the honor of performing for the senior graduation ceremony held in June. The Jazz Ensemble is an elite group of musicians selected by the director through auditions held in the Spring for the following school year. This ensemble has earned the highest honors at Jazz festivals and competitions throughout the state. The String Orchestra is the newest ensemble in the AHS music family. The String Orchestra meets during class year-round, performing several concerts throughout the year. In addition, the String Orchestra may meet after school for rehearsals as necessary. Director Conrad is pleased to offer participation in the String Orchestra to students at AHS.